Welcome to these music quotes about life, and quotes from songs. Please sign-up for my Free Inspirational Quotes of the Day Email on the form below. and harmony imposes compatibility upon the incongruous. 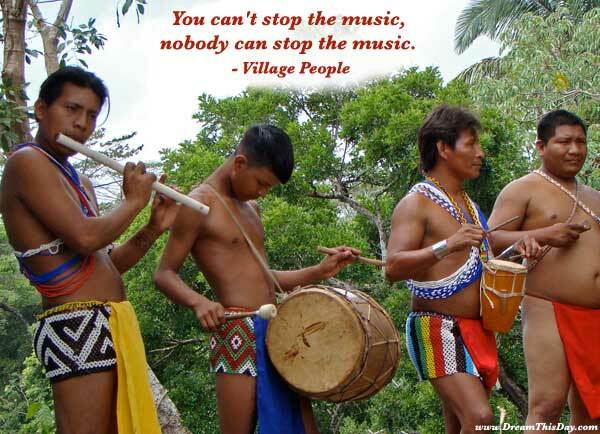 The truest expression of a people is in its dances and its music. for something they never had, and never will have. If you believe in forever, then life is just a one night stand. It's not what you take when you leave this world behind you. Please sign-up for my Free Inspirational Email on the form below.